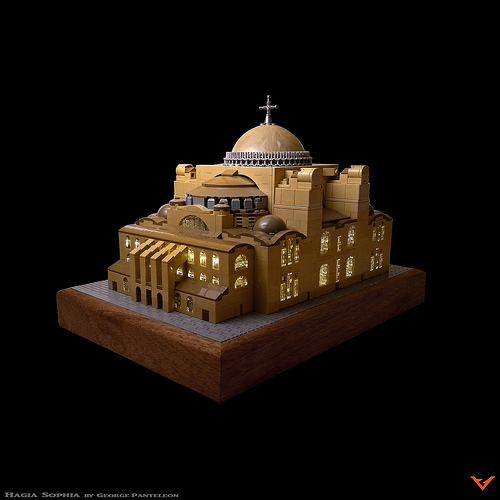 This microscale LEGO rendition of Istanbul’s most famous landmark has been masterfully created by George Panteleon. The tan and dark tan elements blend seamlessly together to create the sweeping curves and rounded roofs of the 1,500-year-old building. The huge dome, which encloses a ceiling height of 182 feet, is created from the planet hemisphere element for Bespin. George has rigged the interior with lights, allowing the model to glow warmly, and added a lovely wood base. It all comes together as a wonderful display piece.